Butter and line the base of a 20cm square cake tin. Heat the oven to 180C/fan 160C/Gas 4. Peel and quarter the pears, then cut out the cores and cut the pears into large pieces. 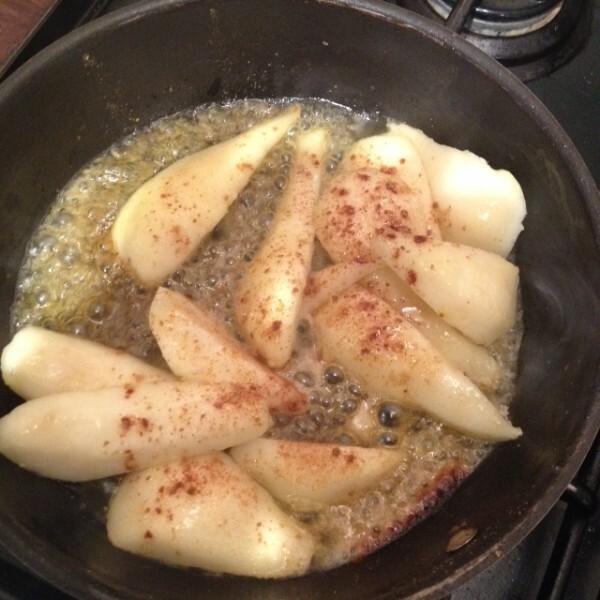 Melt the butter in a pan, add the pears, sugar and spices and cook for 2-3 mins until the pears are just softened and the sauce is syrupy. Leave to cool while you make the cake. Beat in the eggs, one at a time. 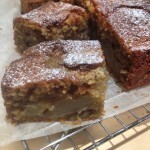 Add the ground almonds and sift in the flour, baking powder and spices. Fold everything together lightly, then fold in the pecans. Spoon the cake mixture into the prepared tin and smooth the top. Arrange the pears evenly over the top, then pour over the sauce from the pan. 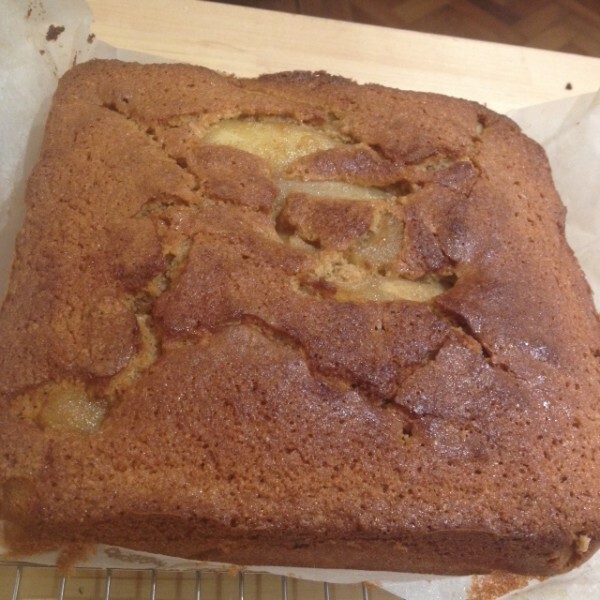 Bake for 45-55 mins until the cake is risen and golden, and springs back when gently pressed. Cool in the tin for 10 mins, then turn out, peel off the paper and cool on a wire rack. Dust the top with icing sugar to serve. The cake will keep for 2-3 days wrapped in foil. 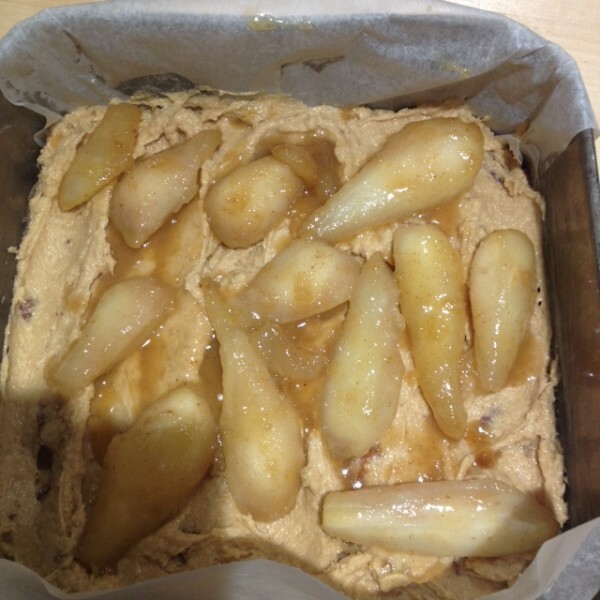 This entry was posted in Baking, Dessert, picnic and tagged baking, pears, spice, winter on 25th January 2017 by marycadogan.